David Alland, MD, MSc, DTM & H.
The Alland laboratory is interested in many different aspects of M. tuberculosis molecular biology, epidemiology and diagnostics. Many of these areas are related to understanding how antibiotic resistance develops on both the cellular and epidemiological level. We also have a major program in biodefense diagnostics and pathogenesis. Some specific areas of interest are described below. Rapid diagnostics for biodefense. The advent of bioterrorism has placed a new emphasis on the need for rapid diagnostic assays that are sufficiently simple and robust that they can be performed in a doctor's office, clinic or local hospital. Blood cultures are one of the most common methods for detecting infections in patients with fever. A rapid "molecular" version of a blood culture would fulfill many of the diagnostic needs in health care settings for biodefense. The Alland laboratory has been working to develop a "molecular blood culture" that will make it possible to identify all common medical pathogens from blood samples in under an hour, without the need for conventional culture methods. Intracellular consequences of antibiotic treatment. The anti-tuberculosis antibiotics isoniazid (INH) and ethambutol (EMB) fall into the general category of drugs that act by inhibiting components of cell wall biosynthesis. This class of antibiotics includes many of the most effective antibacterial agents. Significant progress has been made in identifying the targets that are inhibited by these antibiotics. Little is known, however, about the intracellular events that follow target inhibition. Expression profiling of INH-treated M. tuberculosis suggests that cell death is only the most apparent component of a series of intracellular events that occur following treatment with this antibiotic. This suggests that other cellular processes are induced, some of which may be involved in lysis and cell death (lytic factors), and others that may attempt to preserve cellular integrity and bacterial viability (protective factors). These events determine the ultimate fate of an antibiotic treated cell. The Alland laboratory has been working to understand the function of the pathways that are induced by antibiotic with a focus on the iniBAC genes ( Rv0341 , Rv0342 , Rv0343 ). We believe that a more full understanding of these pathways will lead to the discovery of important new antibiotics, including ones that act synergistically with currently available agents. Studies of antibiotic resistance alleles in M. tuberculosis . Most causes of drug-resistance in M. tuberculosis appear to be the result of single nucleotide polymorphisms (SNPs) in particular target genes. However, each SNP occurs at relatively low frequency. Therefore, in the absence of large sequencing studies, it has been difficult to establish statistically valid associations between individual SNPs and resistance to a particular drug. In the case of resistance to the antibiotic isoniazid (INH), only mutations in codon 315 of the katG gene occur with sufficient frequency. The danger of reaching conclusions after analyzing only a limited number of M. tuberculosis isolates is illustrated by the case of SNPs in codon 463 of katG , and codons 269, and 312 of the kasA gene, which were originally identified as resistance associated, but were later shown to be common in INH-susceptible isolates. The Alland laboratory has developed several low-cost and high-thoughput methods to test clinical M. tuberculosis isolates for SNPs. We are currently in the process of analyzing over 2,000 samples for mutations that are possibly associated with antibiotic resistance. The goal of this project is to understand how different mutations arise, whether some mutations predispose or occur as the consequence of other mutations, and the effect of resistance mutations on further drug resistance evolution and disease transmission. Evolutionary studies of M. tuberculosis . A microbial "species" often encompasses strains or related clones with distinct genotypic and phenotypic characteristics. Studies of epidemiology, pathogenesis, and immunity may depend on the ability to identify and subclassify these strains into related groups. Mycobacterium tuberculosis has been recalcitrant to clonal analysis because of its relatively low level of genetic polymorphism. IS6110 and other commonly used methods for M. tuberculosis strain typing are useful for epidemiological purposes. However, these methods are inadequate for testing hypotheses about the population and evolutionary genetics of the M. tuberculosis complex . Typing systems based on polymorphisms within variable-number tandem repeat regions address some but not all of these limitations. The lack of suitable genetic markers has made it nearly impossible to use specific subtypes of M. tuberculosis that exhibit defined biological and immunological characteristics in laboratory-based investigations. Clinical studies of pathogenesis, immunological responses, vaccines, and drug treatments have also been performed without accounting for the genotypic differences among the infecting M. tuberculosis strains. The deficiency of polymorphic genetic markers is critical because M. tuberculosis is not phenotypically and immunologically uniform. There is increasing evidence for variability in immunological and virulence characteristics. These differences include variations in resistance to effector immune molecules (such as reactive nitrogen intermediates), variations in resistance to killing by host cells, and differences in growth rate, lymphokine induction, and susceptibility to a vaccine primed host immune system. The Alland laboratory has pioneered a new strain typing system based on the use of synonymous SNPs as phylogenetic markers. We are currently using performing high-throughput analysis of M. tuberculosis populations from around the world to construct a SNP-based phylogenetic model of the M. tuberculosis species. This model will then assist us in investigating basic hypotheses about M. tuberculosis phylogenetics, evolution and epidemiology. Integrated sample processing for detection of M. tuberculosis and the diagnosis of drug resistance. The rise of Multi-drug resistant (MDR) M. tuberculosis poses a special risk to populations with high prevalence of HIV infections. Nosocomial outbreaks of MDR tuberculosis are well documented in persons infected with HIV, and have occurred even in institutions with excellent infection control procedures. The risk of nosocomial spread of MDR tuberculosis is even higher in developing countries where patients with MDR tuberculosis may be cohorted with HIV positive patients. Simple, ultra-rapid methods to detect MDR tuberculosis are required to identify and segregate patients with MDR tuberculosis immediately upon admission to a health care setting. Conventional diagnostic and antibiotic drug susceptibility tests for M. tuberculosis infections are too insensitive and slow for this purpose, and even "rapid" methods cannot be performed in the short time required. This problem extends to PCR techniques because they are labor intensive and require technical sophistication, especially in the processing of samples and preparation of the assays. PCR applicability is also diminished by the presence of PCR inhibitors in clinical specimens and the risk of sample cross-contamination. We are working with Cepheid Inc. to develop a GeneXpert system to overcome all of these limitations. This system makes it possible to isolate and PCR amplify M. tuberculosis directly from sputum in a single hands-free step. Inexpensive molded-plastic cartridges concentrate all of the bacilli that are present in a sputum sample, remove PCR inhibitors, lyse the cells, and flush the resulting M. tuberculosis DNA into an integrated PCR reaction tube prefilled with dried real-time PCR reagents. Quantitative real-time PCR is performed automatically using a molecular beacon assay that detects approximately 95% of all mutations associated with rifampin resistance, a surrogate for MDR. The Alland laboratory has already completed the first stage of assay development. This system has been tested with a limited number of clinical sputum specimens, and it is performing well. We have been able to detect M. tuberculosis and MDR tuberculosis in less than one hour directly from sputum in a single hands-free step. We are now working to optimize the assay and then to begin clinical trials. Colangeli R, Haq A, Arcus V.L, Summers E, Magliozzo R. S, McBride A, Mitra A.K, Radjainia M, Khajo A, Jacobs Jr. W. R, Salgame P, Alland D. The multi-functional histone-like protein Lsr2 protects mycobacteria against reactive oxygen intermediates. Proc. Nat. Acad. Sci. U.S.A. 2009, 106 :4414-4418. PMID: 19237572. Abadia E, Sequera M, Ortega D, Méndez MV, Escalona A, Da Mata O, Izarra E, Rojas Y, Jaspe R, Motiwala AS, Alland D , de Waard JH, Takiff HE. Mycobacterium tuberculosis ecology in Venezuela : Epidemiologic correlates of common spoligotypes and a large clonal cluster defined by MIRU-VNTR-24. BMC Infectious Diseases. 2009, 9 :122. PMID: 19660112. Safi H, Fleischmann RD, Peterson SN, Jones MB, Jarrahi B, Alland D . Allelic exchange and mutant selection demonstrate that common clinical embCAB gene mutations only modestly increase resistance to ethambutol in Mycobacterium tuberculosis. Antimicrob Agents Chemother . 2010, 54 :103-108. PMID: 19822701. Helb D, Jones M, Story E, Boehme C, Wallace E, Ho K, Kop J, Owens MR, Rodgers R, Banada P, Safi H, Blakemore R, Lan NT, Jones-López EC, Levi M, Burday M, Ayakaka I, Mugerwa RD, McMillan B, Winn-Deen E, Christel L, Dailey P, Perkins MD, Persing DH, Alland D . Rapid detection of Mycobacterium tuberculosis and rifampin-resistance using on-demand, near patient technology. J Clin Microbiol . 2010, 48 :229-237. PMID: 19864480. Blakemore R, Story E, Helb D, Kop J, Banada P, Owens MR, Chakravorty S, Jones M, Alland D . Evaluation of the analytical performance of the Xpert MTB/RIF assay. J Clin Microbiol . 2010 48 :2495-501. PMID: 20504986. Wang F, Jain P, Gulten G, Liu Z, Feng Y, Ganesula K, Motiwala AS, Ioerger TR, Alland D , Vilchèze C, Jacobs WR Jr, Sacchettini JC. Mycobacterium tuberculosis Dihydrofolate reductase is not a target relevant to the anti-tubercular activity of isoniazid. Antimicrob agents chemother. 2010 Jun 21. [Epub ahead of print] PMID: 20566771. One of the research programs of my laboratory is focused on elucidating the mechanistic principles that govern Th1 initiation in tuberculosis. We are studying the interplay between dendritic cells, macrophages, and T cells through the use of transgenic model systems to define the role of these cells in initiation of Th1 immunity. Previously we had demonstrated that dendritic cells produce Interleukin (IL)-12, a Th1 driving cytokine, in response to M. tuberculosis stimulii alone. In contrast, IL-12 induction from macrophages required T cell-derived signals, in addition to microbial trigger. Studies examining the molecular basis for differential IL-12 regulation in M. tuberculosis stimulated dendritic cells and macrophages are in progress. We are also studying the reprogramming of the dendritic cell and macrophage transcriptome in response to M. tuberculosis infection to better understand the role of the two cell types in initiating Th1 immunity in tuberculosis. My laboratory is also examining the role of these two antigen-presenting cell types in orchestrating the formation of granuloma during tuberculous infection. Death resulting from CD95 is a feature of T cells that have been repeatedly stimulated through their antigen-specific receptor, and may be a fail-safe mechanism to prevent excess T cell activation. Previous work from our laboratory has established that Th1 cells exhibit pronounced susceptibility to activation-induced CD95-mediated apoptosis, and in contrast Th2 cells are resistant. We have demonstrated that mechanistically the difference in sensitivity to apoptosis of the two subsets is due to a selective lack of upregulation of phosphatidylinositol 3'-kinase activity in Th1 cells following activation. Studies to determine the molecular mechanisms for the differential response by Th1 and Th2 cells to receptor activation, and its effect on CD95 death pathway are ongoing. Additionally, we are also investigating whether M. tuberculosis establishes persistence in the host by interfering in the cross talk between CD3/TCR and CD95 signaling pathways of Th1 cells. Specifically, we are testing the hypotheses that in tuberculous infection, CD95-mediated Th1 depletion occurs, resulting in attenuation of protective immunity against M. tuberculosis. Furthermore, we are also actively investigating in patients with pleural and lymphadenitis tuberculosis whether Th1 apoptosis contributes to disease susceptibility. Overall, we hope that paradigms developed from our studies will provide innovative strategies for vaccine development and also provide new modalities of modulating the immune response to shorten chemotherapy and/or overcome drug resistance. Chenggang Hu, C., Mayadas-Norton, T., Chan, J., Tanaka, K., Salgame, P. Mycobacterium tuberculosis infection in complement receptor 3 deficient mice. J. Immunol. 165:2596, 2000. Varadhachary, A.S., Edidin, M., Peter, M.E., Krammer, P.H., Salgame, P. Phosphatidylinositol 3'-kinase protects Th2 cells from apoptosis by modulating lateral diffusion and aggregation of CD95. J. Immunol. 166:6564-6569, 2001. Perdow Hickman, S., Chan, J., Salgame, P. Mycobacterium tuberculosis induces differential cytokine production from dendritic cells and macrophages with divergent effects on naive T cell polarization. J. Immunol. 168:4636-4642, 2002. Bhatt, K., Perdow Hickman, S. and Salgame, P. A new approach to modeling early lung immunity in murine tuberculosis. Cutting Edge: J. Immunol. 172:2748-2751, 2004. Jang, S., Uematsu, S., Akira, S. and Salgame, P. IL-6 and IL-10 induction from dendritic cells in response to Mycobacterium tuberculosis is predominantly dependent on Toll-like receptor 2-mediated recognition. J. Immunol. 173:3392-3397, 2004. Salgame, P. Host innate and Th1 responses and the bacterial factors that control Mycobacterium tuberculosis infection. Current Opinion in Immunol. 17:374-380, 2005. Pompei, L., Jang, S., Zamlynny, B., Ravikumar, S., McBride, A., Hickman , S. P. and Salgame, P. Disparity in Interleukin-12 release in dendritic cells and macrophages in response to Mycobacterium tuberculosis is due to utilization of distinct Toll-like receptors. J. Immunol. 178:5192-5199 2007. Bhatt, K. and Salgame, P. Innate Immune Response in Mycobacterial infections. The Journal of Clinical Immunology. 27:347-62, 2007. Jang, S., Uzelac, A. and Salgame, P. Distinct chemokine and cytokine gene expression pattern of murine dendritic cells and macrophages in response to Mycobacterium tuberculosis infection. J. Leucocyte Biol. 84: 1264-1270, 2008. Bhatt, K., Uzelac, A., Mathur, S., McBride, A., Potian, J. and Salgame , P. B7 costimulation is critical for host control of chronic M. tuberculosis infection. J. Immunology, 182:3793-3800, 2009. Our basic research efforts are focused largely on antimicrobial drug discovery and we engage a wide range of infectious agents, including respiratory pathogens that are the causative agents of tuberculosis, anthrax, glanders, plague, tularemia and Rocky Mountain Spotted Fever. We are also using bacterial agents that cause nosocomial infections, including Staphylococcus aureus, Enterobacter, Klebsiella, Acinetobacter and Enterococcus. Finally, we have a major project examining the potential use of predatory bacteria (Bdellovibrio and Micavibrio) to combat Gram negative infections in animals. Russo R, Chae R, Mukherjee S, Singleton EJ, Occi JL, Kadouri DE, Connell ND. 2015. Susceptibility of select agents to predation by predatory bacteria. Microorganisms Dec2; 3:903-912. Forbes L, Ebsworth-Mojica K, DiDone L, Li SG, Freundlich JS, Connell N, Dunman PM, Krysan DJ. A High Throughput Screening Assay for Anti-Mycobacterial Small Molecules Based on Adenylate Kinase Release as a Reporter of Cell Lysis. PLoS One. 2015 Jun 22;10(6):e0129234. Clements JD, Connell ND, Dirks C, El-Faham M, Hay A, Heitman E, Stith JH, Bond EC, Colwell RR, Anestidou L, Husbands JL, Labov JB. 2014. Engaging actively with issues in the responsible conduct of science: lessons from international efforts are relevant for undergraduate education in the United States. CBE Life Sci Educ. 12(4): 596-603. Diller DJ, Connell ND, Welsh WJ. (2015) Avalanche for shape and feature-based virtual screening with 3D alignment. J Comput Aided Mol Des. Oct 12. Shatzkes K, Chae R, Tang C, Ramirez GC, Mukherjee S, Tsenova L, Connell ND, Kadouri DE. (2015) Examining the safety of respiratory and intravenous inoculation of Bdellovibrio bacteriovorus and Micavibrio aeruginosavorus in a mouse model. Scientific Reports 7;5:12899. Budowle B, Connell ND, Bielecka-Oder A, Colwell RA, Corbett CR, Fletcher J, Forsman M, Kadavy DR, Markotic A, Morse SA, Murch RS, Sajantila A, Schmedes SE, Ternus KL, Turner SD and Minot S. (2014). Validation of High Throughput Sequencing and Microbial Forensics Applications. Investigative Genetics July 30:5-9. Degen D, Feng Y, Zhang Y, Ebright KY, Ebright YW, Gigliotti M, Vahedian-Movahed H, Mandal S, Talaue M, Connell N, Arnold E, Fenical W, Ebright RH. (2014). Transcription inhibition by the depsipeptide antibiotic saliniamide A. Elife. 2014 Apr 30;3:e02451. Ekins, S., Reynolds, R.C., Kim H., Koo, M.-S., Ekonomidids, M., Talaue, M., Paget, S.D., Woolhiser, L.K., Lenaerts, A.J., Bunin, B.A., Connell, N., Freundlich, J.S. (2013) Dual-event machine learning models to accelerate drug discovery. Chem Biol 20(3):370-378. Srivastava A, Talaue M, Liu S, Degen D, Ebright RY, Sineva E, Chakraborty A, Druzhinin SY, Chatterjee S, Mukhopadhyay J, Ebright YW, Zozula A, Shen J, Sengupta S, Niedfeldt RR, Xin C, Kaneko T, Irschik H, Jansen R, Donadio S, Connell ND and Ebright RH. (2011) New target for inhibition of bacterial RNA polymerase:‘switch region’. Curr Opin Microbiol. 14(5):532-43. The goal of this contract is to screen chemicals for antimycobacterial efficacy in in vitro and ex vivo. There is no overlap between this work and the proposed experiments. Predatory bacteria, from basic research to application. This project explores the possibility of harnessing the antibacterial activity of predatory bacteria like Bdellovibrio and Micavibrio ssp for development as an alternative therapeutic. The major goal of this project is establishment of a Center of Excellence for Translational Research focused on development of compounds effective against drug-resistant bacterial pathogens. The major goal of this project is to assess the use of the release of adenylate kinase as a reporter of bacterial cell lysis. The project will assess three adenylate-kinase-based antimicrobial screening in Mycobacteria, in bacterial biofilms, and in bacterial small-colony-variant strains. The major goal of this project is structure-based design, synthesis, and efficacy testing of novel pseudouridimycin analogs effective against drug resistant bacterial pathogens. The major goal of this project is to adapt GeneXpert technology (Cepheid) to the detection of Select Agents. The focus of our work falls into three general areas: (1) modeling the costs and health benefits of immunizations, both domestically and internationally; (2) health services research in the area of immunization services delivery and effectiveness; (3) Streptococcus pneumoniae and Streptococcus agalactiae epidemiology in vulnerable populations. We approach these content areas using decision analytic modeling methods and classical observational epidemiology methods (e.g. case-control, case-cohort, and cohort study designs). (1) Economic case for pneumococcal vaccination of infants in the developing world : Using a simple decision analytic model, we are estimating the costs, health benefits, and cost-effectiveness of donor-financed purchase and provision of conjugated pneumococcal vaccine in 75 Vaccine Fund eligible countries. (2) Consequences of group B streptococcal prophylaxis : In a series of nested case-control studies, we have examined the impact of widespread antibiotic prophylaxis on a cohort of mothers and infants. Currently underway, we have a study of postpartum infections in this cohort and (using decision analysis) a study of the cost-effectiveness of an S. agalactiae vaccine in the era of chemoprophylaxis. (3) Modeling S. pneumoniae serotype distribution in the developing world: Empiric data are scarce and spotty regarding pneumococcal serotype distribution outside the industrialized world. Yet, vaccination policy decisions hinge on this information. Using non-parametric modeling techniques, we are imputing values for sub-Saharan African pneumococcal serotype distribution, with plans to extend this project to Asia and the Americas, as funding permits. We are interested in developing collaborations that allow for application of the methods described above to nosocomial infection epidemiology, bacterial invasive infections in immunocompromised populations, and further vaccine-related health policy research. Sinha A, Yokoe D, Platt R. Epidemiology of neonatal infections: experience during and after hospitalization. Pediatric Infectious Disease Journal. 2003; 22: 244-251. Sinha A , Yokoe D, Platt R. Intrapartum antibiotic and neonatal invasive infections due to organisms other than group B Streptococcus . Journal of Pediatrics. 2003;142: 492-497. Sinha A , Madden J, Ross-Degnan D, Soumerai S, Platt R. Reduced risk of neonatal respiratory infections among breastfed girls but not boys. Pediatrics. 2003;112:e303-e307. URL: http://www.pediatrics.org/cgi/content/full/112/e303 . Sinha A , Lieu TA, Paoletti L, Weinstein MC, Platt R. The projected health benefits of maternal group B streptococcal vaccination in the era of chemoprophylaxis. Vaccine 2005; 23: 3187-95. Dr. Eng's main research interests are focused on the Health outcome on nosocomial, HIV and hepatitis infections. He is Principal Investigator in several Clinical trials of anti-infectives with concentration on HIV, HCV and resistant bacterial infections. Additional studies include Candida Antigens and Antigenemia during infection, Detection of metabolites as a means of diagnosis and different mechanisms of antibiotic resistance in bacteria. Zervos MJ, Hershberger E, Nicolau DP, Ritchie DJ, Blackner LK, Coyle EA, Donnelly AJ, Eckel SF, Eng RH, Hiltz A, Kuyumjian AG, Krebs W, McDaniel A, Hogan P, Lubowski TJ. Relationship between fluoroquinolone use and changes in susceptibility to fluoroquinolones of selected pathogens in 10 United States teaching hospitals 1991-2000. Clin Infect Dis 2003; 37(12):1643-8. Brau N, Bini EJ, Shahidi A, Aytaman A, Xiao P, Stancic S, Eng R, Brown ST, Paronetto F. Prevalence of hepatitis C and coinfection with HIV among United States veterans in the New York City metropolitan area. Am J Gastroenterol. 2002 Aug;97(8):2071-8. Sheen J, Eng RHK, Dever LL, Smith SM. Clinical Characteristics of HIV Long-Term Survivors. Abstract 1476. IDSA San Francisco, 2005. Rathnakumar C, Dever LL, Eng RHK. Overuse of vancomycin for hospital, healthcare-associated pneumonia and IDSA/ATS guidelines. 45 th ICAAC Abstract K-2096 New Washington DC, 2005. Eng RHK, Smith SM, Dever LL. Methicillin-resistant Staphylococcus aureus in a veteran population over a 12 year period: Persistence and Re-Infection. 24 th ICC Abstract D1.3 p. 119. Manila, 2005. Farajallah A , Imrit K, Youssef-Bessler M , Dever LL, Smith SM , Eng RHK . Hepatitis C Treatment Experience from an Urban VA Population. Abstract 04-AB-2227. Oct 2 nd , 2004 (Boston). Paez S, Dever LL, Stark R, Eng RHK. From risk assessment to treatment and transplantation. National VA Primary Care and Ambulatory Care Conference. Seamless Continuity of Care. Washington, DC August, 2004. Eng RHK, Mongia A, Dever LL. Survey of HIV patient treatment preferences in an urban population consisting of people of color and with past IVDU history. Abstract number: WePeB5813. XV International AIDS Conference, 11-16 July, 2004 (Bangkok Thailand). Dr. Sperber's major research interests include general infectious diseases and respiratory viruses in particular. Dr. Sperber has several projects on rhinovirus and influenza, including epidemiology, prevention (vaccine and antiviral) and treatment, both with antiviral therapy and symptomatic therapy, as well as non-traditional therapies. Sperber SJ, Shah LP, Gilbert RD, Ritchey TW, and Monto AS. Echinacea purpurea for prevention of experimental rhinovirus colds. Clin Infect Dis 2004;38:1367-1371. Hayden FG, Herrington DT, Coats TL�and the Pleconaril Respiratory Infection Study Group (Sperber SJ). Efficacy and safety or oral pleconaril for treatment of colds due to picornaviruses in adults: Results of 2 double-blind, randomized, placebo-controlled trials. Clin Infect Dis 2003;36:1523-1532. Sperber SJ, Levine JF, and Gross PG. Letter: Persistent MRSA bacteremia in a patient with low linezolid levels. Clin Infect Dis 2003; 36:675-676. Hong T, Sperber SJ, and Yi-Wei T. Recurrent Staphylococcus lugdunensis central nervous system infection associated with a ventricular peritoneal shunt. Antimicrob Infect Dis 2002;18:91-93. 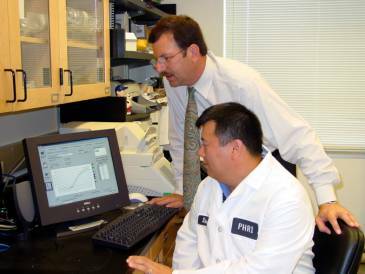 Joel S. Freundlich, Ph.D., is an Associate Professor of Pharmacology, Physiology & Neuroscience and of Medicine at Rutgers University–New Jersey Medical School. He arrived at NJMS in 2011, and is a member of the Division of Infectious Diseases and The Center for Emerging and Re-emerging Pathogens. Prior to his return to academic research, he spent eight years in the pharmaceutical industry as a medicinal chemist. His undergraduate and master’s degree training were in chemical engineering at Cornell University as a McMullen Dean’s Scholar. He received his doctorate in organic chemistry from the Massachusetts Institute of Technology under the tutelage of 2005 Nobel Prize in Chemistry awardee Richard Schrock. We assert that the research community can more optimally leverage the large data sets created over the last ca. 70 years of exploring small molecule inhibition of the growth and/or killing of M. tuberculosis. In vitro and in vivo data may be utilized to create machine-learning models. These models provide highly valuable characterizations of the physiochemical properties and structural features of both active and inactive molecules. They also enable the successful prediction (hit rates often ~ 10 – 20%) of novel antituberculars that have significantly different structures than the training set used to educate the model. Thus, they enable exploration of new chemical space more efficiently. We believe that such molecules, given their novel chemotypes amongst antituberculars, have a heightened probability of modulating novel biological targets (See B). Thus, novel computational methods are being developed and then implemented to uncover new chemical probes and drug discovery hits/leads. These novel antituberculars are then optimized with respect to their efficacy, in vitro Absorption-Distribution-Metabolism-Excretion, in vivo pharmacokinetic, and toxicity profiles to obtain high-value chemical probes and drug discovery hits/leads. Representative Papers: Pharm Res 2016, PLoS One 2015, J Chem Inf Model 2014, Pharm Res 2014, J Chem Inf Model 2013, PLoS One 2013, Chem Biol 2013, Pharm Res 2012, Pharm Res 2011, mBio 2011. Given our unique mixture of experience with both academic tuberculosis research and industrial drug discovery, we are particularly fascinated by polypharmacology. Polypharmacology may be defined as the ability of a single small molecule to modulate multiple drug targets within a pathogen to elicit a favorable therapeutic effect. We assert that this is not rampant promiscuity, but it can instead represent the beneficial perturbation of targets within the same pathway or disparate pathways. Utilizing a range of biological techniques, including transcriptomics, metabolomics, and drug resistance studies, we aim to elucidate how a select set of novel antituberculars utilize polypharmacology to achieve significant cidal activity versus M. tuberculosis. These multidisciplinary studies can lead to the identification of novel combinations of targets that can be pursued to develop new multi-target inhibitors or new synergistic combination therapies. Representative Papers: Tet Lett 2015, Chem Biol 2014, Antimicrob Agents Chemother 2011, Tuberculosis 2010. The Freundlich lab also seeks to extend and apply our computational and chemical techniques to enhance the efficiency of drug discovery research against other infectious diseases. We view these methodologies as being critical to furthering our basic understanding of the biology of bacteria and viruses of global health relevance, while also seeding drug discovery efforts. Through our NIH/NIAID-funded U19 program, we are working on the ESKAPE bacteria. In 2016, we launched a new collaboration with IBM, Dr. Carolina Horta Andrade, and Dr. Sean Ekins that is focused on jump-starting drug discovery efforts against the Zika virus, by performing massive virtual screens on the World Community Grid. We have also published on computational approaches, which have suggested potential starting points for an Ebola virus therapy. Representative Papers: F1000Research 2016, F1000Research 2015, PLoS One 2014, Pharm Res 2014. The Perlin lab is interested in mechanisms of antifungal drugs resistance, rapid detection and susceptibility of invasive fungal pathogens in high risk patients, discovery of novel molecules to combat HIV, TB and HBV, and the development of small animal models for bacterial and fungal respiratory pathogens. Mechanisms of antifungal drug resistance. Fungal infections are a significant cause of morbidity and mortality in severely ill patients and the impact is exacerbated by a failure to rapidly diagnose and effectively treat these infections. The widespread use of antifungal agents has resulted in selection of naturally resistant fungal species, as well as the emergence of resistance in susceptible species. Treatment of fungal disease is hampered by the availability of few classes of antifungal drugs. Recently, caspofungin (CANCIDAS) was introduced clinically as the first of a new class of echinocandin drugs that target the fungal cell wall by blocking beta-(1 3)-D-glucan synthase. C aspofungin use is growing rapidly and clinical isolates of Candida with reduced in vitro susceptibility are being reported with a strong correlation between treatment failure and high in vitro MIC values. As patient exposure to caspofungin increases, and as the other echinocandin drugs, micafungin and anidulafungin, enter the market, it is anticipated that the number of clinical isolates with elevated MIC values will rise. The echinocandins are the first new major antifungal drug class to enter the market in decades, and it is vital to understand the nature of developing resistance mechanisms to this class of drugs. Recently, we reported that mutations in two regions of Fks1, a primary component of the glucan synthase complex, could account for resistance in laboratory and clinical isolates of Candida albicans . The objective of this program is to explore in detail by genetic and biochemical means the role of Fks1 as an important new mechanism for clinical resistance to echinocandin drugs. The specific aims are designed to: 1) provide a detailed molecular description of regions of Fks1 associated with resistance to echinocandins and to define the physical limits of these regions and ranges of mutations that contribute to resistance; 2) define structural properties of Fks1-drug interactions and assess whether all echinocandin drugs bind directly to Fks1 and at the same site and whether a single mechanism of resistance is sufficient for all echinocandin drugs; 3) develop a membrane topology model of Fks1 that can be used to better understand functional domains, and 4) evaluate in clinical isolates and animal models the frequency of FKS1 and non- FKS1 resistance mechanisms. The overall objective is to develop a comprehensive molecular description of Fks1-mediated resistance to echinocandin drugs. It is important to distinguish between adaptive mechanisms by fungi that cause slightly elevated MIC values that do not impact clinical outcome and those that cause more significant reduced susceptibility resulting in treatment failure. This work is funded by funds from the NIH, Merck and Astellas. Rapid detection of bloodstream infections (NIH). Blood stream infections (BSIs) are a significant cause of morbidity and mortality in the USA. While the true incidence of nosocomial BSIs is unknown, several studies have reported that an estimated 250,000 cases occur annually. There is evidence to show that early and appropriate antimicrobial therapy is an important contributor to a favorable outcome for patients with BSI. Current diagnostic methods can take from 24 hours upto to a week or more for positive pathogen identification and characterization. The reduction of the time period from specimen collection until the availability of species identification and antimicrobial susceptibility is therefore critical in improving outcomes for patients with severe bloodstream infections. No molecular diagnostic tool is currently available to clinical microbiology laboratories that have been validated against the existing gold standard methods for pathogen identification, and susceptibility testing. We plan to develop in close collaboration with bioM eri eux, a global leader in clinical diagnostics, a next-generation nucleic acid based NASBA-Molecular Beacons platform for rapid identification of bacterial and fungal pathogens, and associated drug resistance in selected organisms. Three clinical sites in New York (USA), Toronto (CAN) and Manchester (UK) have been selected to evaluate the new platform in relation to an existing culture-based gold standard. These large tertiary care medical centers will create a robust environment to conduct the studies. They all provide complex intensive care services (greater than 300 beds total) to highly diverse at risk populations, have leading infectious diseases clinical researchers, and a clinical microbiology laboratory with the expertise and the experience necessary to conduct the evaluation. This comprehensive approach joining PHRI's technical expertise in molecular beacon probe development with bioMerieux NASBA technology and clinical diagnostic product development, along with outstanding clinical partners will help ensure that a product applicable to improving Sepsis outcome will emerge. This work is supported by funds from the NIH. Drug discovery: Novel molecules to combat AIDS, tuberculosis and hepatitis. Drug-resistance is one of the most important obstacles in the treatment of infectious diseases, such as AIDS, tuberculosis and hepatitis. Biologically, a large number of amino acids on key target enzyme of infectious agents can mutate to confer drug-resistant phenotypes under the selective pressure of chemotherapy. Newly discovered antimicrobial agents that target sites on the enzymes could be inhibitory to the mutated strains, but may induce new resistant mutants. These infectious agents are moving targets by nature and represent a serious challenge to the current strategy of drug discovery. The goal of this application is to discover drug candidates that block replication and/or survival of viruses or tubercle bacilli (TB) by interfering with intracellular machineries, which are not essential to the host but are required by intracellular microorganisms. The foundation of this idea derived from the therapeutic strategy against infectious diseases in Chinese medicine, called Wei-Qi (protection from inside). In the past five years, our collaborator Dr. Jiang has identified several chemical entities (from natural products) that inhibit microbial replication through modification of various cellular processes. Potential targets for drug therapy will be identified by evaluating cellular proteins that are not crucial, or only conditionally required, for the cell survival, but are essential for the replication and/or survival of HIV-1 or TB or HBV. All identified targets will be cloned and expressed for high throughput analysis. This work is supported by the Gates Foundation. Park, S., Kelly, R., Nielsen-Kahn, J., Robles,J., Hsu,M-J., Register, E., Li, W., Vyas, V., Fan, H., Abruzzo, G., Flattery, A., Gill, C., Chrebet, G., Parent, S., Kurtz, M., Teppler, H., Douglas, C.M. and Perlin, D.S. 2005. Specific substitutions in the echinocandin target Fks1p account for reduced susceptibility of rare laboratory and clinical Candida isolates. Antimicrob. Agents Chemother. 49(8):3264-73. Park, S. and Perlin, D.S. 2005. Establishing surrogate markers for triazole resistance in Candida albicans. Microbial Drug Resistance . In press. Zhao,YN, Jiang, Q.W., Jiang, R.J., Chen, L. and Perlin, D.S. 2005 Isolation and Identification of Echovirus 30 from An Outbreak of Aseptic Meningitis in Jiangsu Province in China in 2003 Emerg. Infect. Dis. 11 (4): 562-7. Stevens, D.A., White, T.C., Perlin, D.S. Selitrennikoff, C.P 2005 Studies of the paradoxical effect of caspofungin at high drug concentrations. Diagn. Microbiol. Infect. Dis. In press. Beauvais, A., Perlin, D.S., and Latgé, J.P. 2005 Role of a (1-3) glucan in Aspergillus fumigatus and other human fungal pathogens. In press. Gardiner, R.E., Park, S., Soteropoulos, P., and Perlin, D.S. 2005. Characterization of Aspergillus fumigatus mutants with reduced susceptibility to caspofungin. Medical Mycology. 43 Suppl 1:S299-305. Balashov, S.V., Gardiner, R., Park, S. and Perlin, D.S. 2004 Rapid high throughput multiplex real-time PCR diagnostics of itraconazole resistance mutations in CYP51A gene of Aspergillus fumigatus. J. Clin. Microbiol. 43 :214-22. Beauvais, A., Maubon D., Park S., Morelle, W., Huerre, M., Perlin, D., and Latgé, J.P. 2005 Two alpha 1-3 glucan synthases with different functions in Aspergillus fumigatus . Appl Environ Microbiol. 71 :1531-8. Pancholi, P., Park, S., Perlin, D., Kubin, C. and Della-Latta, P. 2004. A case study of Candida albicans ocular infection with unusual azole genotype expression. J. Clin. Microbiol. 42 (12):5938-9. The major interest of the laboratory is to define the adaptation of Mycobacterium tuberculosis to host immunity in terms of bacterial physiology and bacterial antigen composition . We expect our studies to contribute new knowledge toward the development of new immunodiagnostics, drugs and vaccines against tuberculosis. We have developed methods to investigate the bacterial response to host immunity by using real-time RT-PCR to determine copy numbers of selected bacterial transcripts in the lung of infected mice and we have showed that expression of adaptive immunity in the mouse lung leads to the induction ( > 20-fold) of the bacterial dosR regulon (a set of ~50 genes), an event that is associated with bacteriostasis in vitro . We have expanded bacterial transcriptional profiling in the mouse lung to the investigation of key aspects of bacterial energy metabolism. We found that tubercle bacilli progress through three respiratory states, the end state being low-energy-conserving, anaerobic respiration. Concurrently, the ATP synthesizing apparatus is down-regulated. Thus the response to immunity induces a metabolic state characterized by a vast decrease of energy production. These results constitute the most direct evidence to-date of the metabolic slow-down that tubercle bacilli undergo in response to host immunity. The second major thrust of our work is the identification of immune markers of tuberculosis state, i.e. active disease vs latent infection, and of infection outcome. We find that human antibody profiles vary with tuberculosis state . We explain these data by hypothesizing that different growth states of tubercle bacilli over the course of infection are accompanied by changes in bacterial antigen production. This idea derives from our observation that M. tuberculosis immunodominant antigens are differentially expressed in growing and non-growing tubercle bacilli in a mouse model. This part of our program combines the use of state-of-the-art methods for serological screening of the entire proteome of M. tuberculosis, and studies in animal models as well as clinical studies of human tuberculosis. Newly developed high-throughput methods are being used to construct proteome microarray chips for screening with sera obtained from both infected animals and humans. To date, we have produced a microarray chip of 225-proteins and probed it with sera obtained from infected mice as well as from infected monkeys. Approximately 10% of proteins on the chip gave signals ( > two-fold over background) with sera from chronically infected mice. Some of the proteins reacting with murine sera also reacted with sera from tuberculous monkeys. These data validate the premise of proteome microarray screening. More recently, we have produced a 900-protein chip, which is currently being probed with animal sera. Our goal is to expand the microarray to the entire proteome. With the ability to screen large numbers of M. tuberculosis proteins the following studies are being performed. -In a murine model, we have initiated experiments to determine how bacterial antigen expression profiles correlate with antigen-specific immune responses during infection. -To what extent immune profiles vary with infection outcome is being investigated in a macaque model of infection. -Our studies of human tuberculosis have focused on the definition of antibody profiles characteristic of tuberculosis state. Based on our previous work we expect that upward and downward changes in the concentration of specific antibodies characteristic of each tuberculosis state will define antibody patterns of diagnostic value. Changes in immune profiles during the course of infection also suggest a novel strategy for early identification of individuals that progress from latent infection to active disease, before they become infectious and symptomatic. The prognostic value of tuberculosis-state-specific antibody profiles identified by on-going cross-sectional study in Cape Town, South Africa, will be assessed in future, longitudinal studies at the same site. The results of our human studies can potentially impact public health policies in ways that would have a tremendous impact on curbing transmission of M. tuberculosis infection in areas of the world where as many as 70-90% of adults are latently infected and resources are unavailable for offering treatment of latent infection to the general population. Davidow, A., Kanaujia G.V., Shi L., Kaviar, J, Guo, X.D., Sung N., Kaplan G., Menzies D. and Gennaro M.L. (2005) Antibody profiles characteristic of Mycobacterium tuberculosis infection state. Infect. Immun. (in press). Azzurri, A., Kanaujia G.V., Sow O.Y, Bah B., Diallo A., Del Prete G. and Gennaro M.L. (2005) Serological markers of pulmonary tuberculosis and of response to anti-tuberculosis treatment in a patient population in Guinee. Int. J. Immunopath. Pharm. (in press). Ben Amor Y., Shashkina E., Johnson S., Bifani P.J., Kurepina N., Kreiswirth B., Bhattacharya S., Spencer J., Rendon A., Catanzaro A. and Gennaro M.L. (2005) Immunological characterization of novel secreted antigens of Mycobacterium tuberculosis. Scand. J. Immunol. 61: 139-146. Shi L., North R, and Gennaro M.L. (2004) Effect of growth state on transcription levels of genes encoding major secreted antigens of Mycobacterium tuberculosis in mouse lung. Infect. Immun. 72 :2420-2424. Silva V.M.C., Kanaujia G., Gennaro M.L., and Menzies D. (2003) Factors associated with humoral response to ESAT-6, 38kDa and 14kDa antigens in patients with a spectrum of tuberculosis. Int. J. Tuberc. Lung Dis 7 , 478-484. Despite the use of a generally safe vaccine for 70 years and effective antibiotics for 40 years, tuberculosis still kills approximately 2 million people annually. To develop new methods of diagnosis and therapy, it is necessary to find new targets, ie , genes and proteins, in the causative organism, Mycobacterium tuberculosis. A promoter trap system has been developed in our laboratory to isolate M. tuberculosis genes that are induced after infection of human macrophages and mice, as some of these genes may be important for virulence and also we should obtain information about the environment faced by the bacterium during infection of its mammalian host. Several genes have been isolated thus far, and the search for new candidate genes is continuing. To quantitate the in vivo expression of M. tuberculosis genes that have been identified by our promoter trap strategy and other methods that rely on a computer analysis of the completely sequenced M. tuberculosis genome to chose regulatory genes that could be involved in virulence, we developed a sensitive and accurate fluorescence based RT-PCR method. We measured the expression of these genes during M. tuberculosis infection of macrophages and in the lungs of infected mice and guinea pigs. Several genes showing differential regulation were identified and we are studying the mechanisms by which they are induced or repressed after infection. As part of this project we have shown that several iron regulated genes, as determined by growth studies in liquid culture, using reporter gene technology and the RT-PCR technique, are induced greatly when M. tuberculosis infects human macrophages and mice and in the lungs of TB patients. Thus, the milieu of the mycobacterial phagosome and lung granuloma is iron-limiting, which indicates that iron acquisition is essential for the pathogen's growth and virulence in infected hosts. Thus, the iron uptake apparatus should be an excellent target for therapeutic intervention against M. tuberculosis. To determine the role in virulence of iron regulated genes and others we have identified, we are inactivating them in M. tuberculosis and are measuring the survival of mutants in macrophages and mice. We are also studying the metabolism of fatty acids and lipids during infection as much evidence from our laboratory and others strongly suggests that M. tuberculosis changes its metabolism during infections to obtain carbon from these compounds rather than carbohydrates. Among other genes whose role in M. tuberculosis pathogenesis we are investigating in similar fashion are those encoding several transcriptional regulators, i.e., sigma factors and response regulators. Thus far we have found several candidate virulence genes amongst these regulatory elements as judged by the attenuated virulence phenotypes of mutants. DNA array analysis is a major component of our research efforts and this procedure has enabled us to identify Mtb genes that are controlled by these regulators and are essential for virulence. We are now using the information obtained from our research to begin the development of new anti-tubercular therapies. Walters, S., Dubnau, E., Kolesnikova, I., Daffe, M and Smith, I. The Mycobacterium tuberculosis PhoP-PhoR two-component system: a regulatory system controlling genes essential for virulenceand complex lipid biosynthesis. Molecular Microbiology 60: 312-330, 2006. Smith, I. Nathan, C. Peavey, H.H., Progress and new Directions in Genetics of Tuberculosis, An NHLBI working group report Amer. Jour. Respt. and Crit. Care Med. 172: 1491-1496, 2005. Mendelson, M., Manca, C., Frank A. Post, F. A., Walters, S. , Smith, I., and Kaplan, G. Strain-specific mycobacterial lipids and the stimulation of protective immunity to tuberculosis. Tuberculosis. 85, 407-413, 2005. Dubnau, E., Chan, J., Mohan, V. P., and Smith, I. Responses of Mycobacterium tuberculosis to growth in the Mouse Lung. Infection and Immunity 73: 3754-3757, 2005. Rodriguez, G. M., and Smith, I. Iron metabolism in pathogenic mycobacteria, pp. 360-371, in "Iron Transport in Bacteria: Molecular Genetics, Biochemistry, Microbial Pathogenesis and Ecology", (Eds. J. Crosa & S. Payne) ASM Press 2004. Smith, I., Bishai, W., and Nagaraja, V., Control of mycobacterial transcription, pp. 219-231, in Tuberculosis, 2 nd Ed. (eds. S. Cole, D. N. McMurray, K. Eisenach, B. Gicquel and W. Jacobs) ASM Press, 2004. Marras, S. A. E., God, B., Kramer, F. R., Smith, I., and Tyagi, S. Real Time measurement of in vitro transcription. Nucleic Acids Research 32: e72 1-6 (2004). Manganelli, R., Fattorini, L., Tan, D., Iona, D., Orefici, G., Altavilla, G., Cusatelli, P. , and Smith, I. The ECF Sigma Factor s E is Essential for Mycobacterium tuberculosis Virulence in Mice. Infection and Immunity 72: 3038-304, 2004. Dr. Drlica's laboratory has recently focused on fluoroquinolone action and resistance. The fluoroquinolones trap DNA gyrase and DNA topoisomerase IV on bacterial DNA as ternary complexes that rapidly block DNA replication. It is widely believed that complex formation and rapid inhibition of replication cause cell death. However, the Drlica group recently showed that quinolone lethality is not diminished by blockage of replication by other means. In seeking another explanation for rapid cell death they found that it correlates with bacterial chromosome fragmentation. They are seeking to understand how fragmentation occurs in non-growing cells with the aim of developing new anti-tuberculosis fluoroquinolones. Their work on resistance has focused on slowing the enrichment and amplification of bacterial subpopulations that are resistant. Early work showed that resistant bacterial mutants are selectively enriched when drug concentrations in agar plates fall inside a particular range (mutant selection window). That observation led to the mutant selection window hypothesis, which has now been tested with fluctuating drug concentrations in vitro and in an animal model. It has also passed a small clinical test in which Staphylococcus aureus resistance developed at the same time susceptible populations were eradicated. The hypothesis explains in part how traditional antimicrobial dosing strategies lead to resistance and suggests ways to severely restrict the acquisition of resistance. The Drlica group hopes to be able to predict which antibiotic regimens are least likely to enrich mutants prior to widespread clinical use. Other aspects of their work focus on understanding toxin-antitoxin systems and on refining antisense nucleic acids as agents for controlling gene expression. Inactivation of toxin-antitoxin proteins that protect bacteria from stress may lead to new ways to enhance the lethal activity of antimicrobials. With antisense agents, one of the problems for gene therapy is to identify target sites that readily hybidize to the agent. A computational model was developed that can be used to predict the best sites on any messenger RNA for attack by antisense agents. Cui, J., Liu, Y., Wang, R., Tong, W., Drlica, K., and Zhao, X. (2006). The mutant selection window in rabbits infected with Staphylococcus aureus . J. Inf. Dis. (in press). Singh, A., Singh, Y., Pine, R., Shi, L, Chandra, R., and Drlica, K. (2006). Protein kinase I of Mycobacterium tuberculosis : cellular localization and expression during infection of macrophage-like cells. Tuberculosis 86: 28-33. Hansen, G., Zhao, X., Drlica, K., and Blondeau, J. (2006). Enrichment of fluoroquinolone-resistant mutant subpopulations of Pseudomonas aeruginosa. Int. J. Antimicrobial Agents Chemother. 27: 120-124. Zhao, X., Malik, M., Chan, N., Drlica-Wagner, A., Wang, J.-Y., Li, X., and Drlica, K. (2006). Lethal action of quinolones with a temperature-sensitive dnaB replication mutant of Escherichia coli . Antimicrobial Agents and Chemotherapy 50: 362-364. Malik, M., and Drlica, K. (2006). Moxifloxacin lethality with Mycobacterium tuberculosis in the presence and absence of chloramphenicol. Antimicrobial Agents Chemother 50: 2842-2844. Malik, M., Zhao, X., and Drlica, K. (2006). Lethal fragmentation of bacterial chromosomes mediated by DNA gyrase and quinolones. Mol. Microbiol. 61: 810-825. Wehbeh, W., Rojas-Diaz, R., Li, X., Mariano, N., Louise Grenner, L., Segal-Maurer, S., Tommasulo, B., Drlica, K., Urban, C., and Rahal, J.J. (2005). Fluoroquinolone-resistant Streptococcus agalactiae : epidemiology and mechanism of resistance . Antimicrob. Agents Chemother. 49: 2495-249. 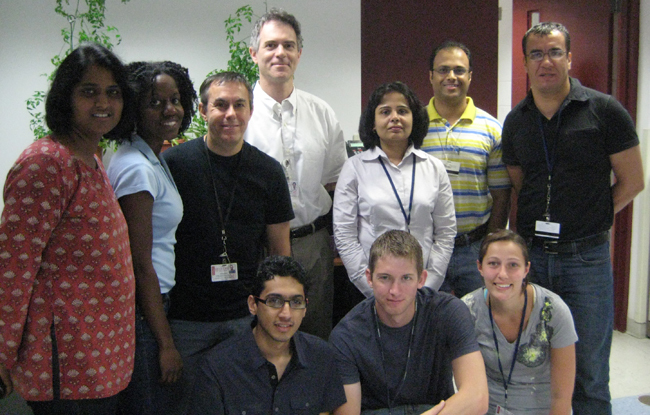 Malik, M. Lu, T., Zhao, X., Singh, A., Hatten, C., Domagala, J., Kerns, R., and Drlica, K. (2005). Quinolone lethality in the presence and absence of chloramphenicol: studies with Mycobacterium smegmatis. Antimicrob. Agents Chemother. 49: 2008-2014. Epstein BJ, Gums JG, Drlica K. (2004). The Changing Face of Antibiotic Prescribing: The Mutant Selection Window. Ann Pharmacother. 2004 Aug; 38: 1675-1682. PMID: 15340128 . Li X, Mariano N, Rahal JJ, Urban CM, Drlica K. (2004). Quinolone-Resistant Haemophilus influenzae in a Long-Term-Care Facility: Nucleotide Sequence Characterization of Alterations in the Genes Encoding DNA Gyrase and DNA Topoisomerase IV. Antimicrob Agents Chemother. 2004 Sep;48(9):3570-2. PMID: 15328129 . Metzler K, Hansen GM, Hedlin P, Harding E, Drlica K, Blondeau JM. (2004). Comparison of minimal inhibitory and mutant prevention drug concentrations of 4 fluoroquinolones against clinical isolates of methicillin-susceptible and -resistant Staphylococcus aureus. Int J Antimicrob Agents. 2004 Aug;24(2):161-7. The laboratory of Drs. Fred Russell Kramer and Sanjay Tyagi carries out fundamental research on the structure, function, and biotechnological utility of nucleic acids. In the past, they have studied the exponential mechanism of viral RNA synthesis and the evolution of RNA populations replicating in test tubes. They have developed advanced methods for sequencing nucleic acids; pioneered the use of recombinant RNA molecules in clinical diagnostic assays; and invented molecular beacons, which are hairpin-shaped nucleic acid hybridization probes that undergo a conformational reorganization when they bind to their genetic target that renders them brightly fluorescent, signaling the presence of the target. During the past few years, in collaboration with Dr. David Alland, their research has focused on the development of multiplexed clinical diagnostic assays, in which mixtures of molecular beacons, each specific for a different genetic target, and each labeled with differently colored fluorophores, are used to simultaneously report the presence or absence of different genetic alleles or different infectious agents in a sample. For example, they developed a multiplex assay that utilizes five different probes to determine whether bacteria that cause tuberculosis are present in a sputum sample - the assay takes only two hours to complete and determines both the abundance of the infectious agent and its sensitivity to antibiotic treatment. The laboratory is now working on highly multiplexed, single-tube screening assays that take only an hour to identify which bacterium among as many as thirty-five different bacterial species is present in a blood sample taken from a febrile patient. These molecular blood cultures will not only provide rapid diagnosis for common agents of infection, they will also serve as an early warning system that can detect the presence of rare bacterial species that are used as agents of bioterrorism. In addition, the laboratory is exploring the use of allele-discriminating hairpin primers, which are used in extraordinarily sensitive gene amplification assays that enable the detection of a single cancer cell in a sample containing 100,000 normal cells. The laboratory is also developing techniques that utilize molecular beacons to visualize the movement of messenger RNAs in living cells, such as fibroblasts and neurons, and to determine the localization of different messenger RNAs in developing invertebrate embryos. Specialized molecular beacons have been synthesized that resist the destructive attack of cellular enzymes, and novel techniques have been developed that enable the fluorescent signals that come from the binding of the probes to their targets to be distinguished from background signals that are due to cellular autofluorescence and to the nonspecific binding of cellular components to the probes. Recently, the laboratory has developed techniques that enable the movements of individual messenger RNA molecules to be tracked in live cells by fluorescence microscopy. Marras SAE, Gold B, Kramer FR , Smith I, and Tyagi S (2004) Real-time measurement of in vitro transcription. Nucleic Acids Research 32, e72. Tyagi S and Alsmadi OA (2004) Imaging native b -actin mRNA in motile fibroblasts. Biophysics Journal 87, 4153-4746. Varma-Basil M, El-Hajj H, Marras SAE, Hazbón MH, Mann JM, Connell ND, Kramer FR , and Alland D (2004) Molecular beacons for multiplex detection of four bacterial bioterrorism agents. Clinical Chemistry 50, 1060-1063. Mhlanga MM, Vargas DY, Fung CW, Kramer FR , and Tyagi S (2005) tRNA-linked molecular beacons for imaging mRNAs in the cytoplasm of living cells. Nucleic Acids Research 33, 1902-1912. Marras SAE, Tyagi S , and Kramer FR (2005) Real-time assays with molecular beacons and other fluorescent nucleic acid hybridization probes. Clinica Chimica Acta, in press. Vargas DY, Raj A, Marras SAE, Kramer FR , and Tyagi S (2005) Mechanism of messenger RNA transport in the nucleus. Proceedings of the National Academy of Sciences USA 102, in press. Our research interests fall within the broad area of inflammation and infection. We focus on molecular pathology effected by (dys)regulation of gene expression in studies of host cell interactions with M. tuberculosis and HIV-1. We began these studies with a project to test the hypothesis that interferon (IFN)-regulated gene expression is altered in cultured macrophages infected with M. tuberculosis . This model for the start of infection in vivo provided examples of cellular responses that were triggered or augmented at one level but limited at another. One example involves IFN a / b . Our original observation that cells infected by M. tuberculosis secrete IFN a / b (Weiden et al., 2000) led us to examine responses to the secreted IFN a / b . We found that infection inhibits response to IFN a / b (Prabhakar, et al., 2003), and that the secreted IFN a / b is necessary but not sufficient to cause the down-regulation of response (Prabhakar, et al., 2005). We concluded that the ability of M. tuberculosis to induce secretion of IFN a / b is offset by the inhibition of response to IFN a / b . We plan to extend these results by investigating cell-type specific differences in and consequences of response to IFN a / b secreted during infection. We will also determine the effects of the secreted IFN a / b on interactions of various cell types with infected macrophages. Another example involves IFN g . We found that expression of the transcription factor IRF-1, which is required for host control of M. tuberculosis infection, is subject to positive and negative regulation (Qiao et al., 2004). IRF-1 transcription increases synergistically when cells infected by M. tuberculosis are stimulated with IFN g . However, no corresponding increase in IRF-1 mRNA occurs, and the increase in protein is proportional to the increase in mRNA. This limit to perturbation of the host cell involves post-transcriptional regulation of IRF-1 gene expression occurring in the nucleus. Thus, negative post-transcriptional regulation prevents the increase in IRF-1 expression that follows from a synergistic increase in transcription in other cases (Pine, 1997). Such regulation of IRF-1 expression was previously unknown and now serves as a model for studies of the mechanisms responsible. Another aspect of our work involves a functional genomic assay of uninfected and infected cells stimulated by IFN g , which is being analyzed using regulatory genomics to understand how a gene expression profile comes to exist. Developing a functional genomic transcription rate assay will contribute to this effort. This work is part of a project that aims to distinguish the effects of acute and chronic infection on cell-cell interactions and response to IFN g . The gene expression profile in normal subjects' bronchoalveolar lavage cells that are infected and stimulated in vitro will be compared to the profile in cells from tuberculosis patients enrolled in a clinical trial of adjunctive aerosolized IFN g therapy. Another clinical collaboration is focused on determining the molecular basis for clinical effects of the aerosol IFN g therapy, using targeted approaches and functional genomics (Condos et al., 2003; Raju et al., 2004). Lastly, in an exploratory study of co-infection by M. tuberculosis and HIV-1, we are using functional genomics to test the hypotheses that infection by HIV-1 will alter cellular response to subsequent infection by M. tuberculosis and vice versa , and that the final gene expression profile will depend on the order of infection. We expect that determining how the effect of one pathogen on the host cell in turn alters the interaction of the second pathogen with the cell will help understand the ability of M. tuberculosis and HIV to exacerbate each other. Condos, R., Raju, B., Canova, A., Zhao, B. Y., Weiden, M., Rom, W. N., and Pine, R. (2003). Recombinant gamma interferon stimulates signal transduction and gene expression in alveolar macrophages in vitro and in tuberculosis patients. Infect Immun 71 , 2058-2064. Pine, R. (1997). Convergence of TNF a and IFN g signaling pathways through synergistic induction of IRF-1/ISGF-2 is mediated by a composite GAS/ k B promoter element. Nucleic Acids Res 21 , 4346-4354. Prabhakar, S., Qiao, Y., Canova, A., Tse, D. B., and Pine, R. (2005). IFN ab secreted during infection is necessary but not sufficient for down-regulation of IFN ab signaling by M. tuberculosis . J Immunol 173 , 1003-1012. Prabhakar, S., Qiao, Y., Hoshino, Y., Weiden, M., Canova, A., Giacomini, E., Coccia, E., and Pine, R. (2003). Inhibition of Response to Alpha Interferon by Mycobacterium tuberculosis . Infect Immun 71 , 2487-2497. Qiao, Y., Prabhakar, S., Canova, A., Hoshino, Y., Weiden, M., and Pine, R. (2004). Posttranscriptional Inhibition of Gene Expression by Mycobacterium tuberculosis Offsets Transcriptional Synergism with IFN-g and Posttranscriptional Up-Regulation by IFN-g . J Immunol 172 , 2935-2943. Raju, B., Hoshino, Y., Kuwabara, K., Belitskaya, I., Prabhakar, S., Canova, A., Gold, J. A., Condos, R., Pine, R. I., Brown, S. , et al. (2004). Aerosolized gamma interferon (IFN-gamma) induces expression of the genes encoding the IFN-gamma-inducible 10-kilodalton protein but not inducible nitric oxide synthase in the lung during tuberculosis. Infect Immun 72 , 1275-1283. Weiden, M., Tanaka, N., Qiao, Y., Zhao, B. Y., Honda, Y., Nakata, K., Canova, A., Levy, D. E., Rom, W. N., and Pine, R. (2000). Differentiation of Monocytes to Macrophages Switches the Mycobacterium tuberculosis Effect on HIV-1 Replication from Stimulation to Inhibition: Modulation of Interferon Response and CCAAT/Enhancer Binding Protein b Expression. J Immunol 165 , 2028-2039. Dr. Kaplan and the members of her laboratory are studying the role of macrophage activation in the host response to infectious agents with a focus on virulent mycobacteria. Recently, members at the Kaplan lab have been testing the hypothesis that some clinical isolates of M. tuberculosis (MTB) are more virulent than others, causing more severe disease in the infected host. Differential virulence is attributed to differences in activation of macrophages leading to differential induction of the host protective immune response to infection. The investigations combine in vitro studies of MTB infection of human peripheral blood monocytes with observations made using in vivo infection of mice and rabbits and studies in TB patients. Two clinical isolates of MTB, CDC1551 and HN878, are used to model TB infection in humans. In vitro infection of human monocytes is followed by an analysis of the extent of activation of selected genes known to regulate the antimicrobial response in the cells. Compared with HN878 and other related W-Beijing strains, CDC1551 induces more rapid and higher levels of activation of the gene encoding the Th1 type cytokines and their receptors and the chemokines and their receptors that regulate the protective response to MTB. Using a rabbit model of central nervous system (CNS) and aerosol lung infection, members of the Kaplan lab are comparing a number of clinical MTB isolates for virulence and disease progression. Virulence of clinical isolates is associated with higher bacillary loads in the cerebrospinal fluid and in the brain a propensity to breach the blood brain barrier (BBB) and disseminate to other organs, and the ability to cause more prolonged inflammation. Rabbits infected with HN878 or related W-Beijing strains, such as W4, develop severe progressive meningitis with loss of coordination and paralysis of the limbs. Animals infected with CDC1551 control the infection better and do not show any neurologic signs. In the model of aerosol infection of rabbits, HN878 causes more extensive bacillary growth and progressive tissue damage in the lungs. The lipid composition of the clinical isolates appears to determine the extent and nature of the host response to infection. Specifically, phenolic glycolipid of MTB contributes significantly to reduced Th1 immunity and to increased pathogenesis. Mouse infection studies are being used to define the immunologic responses associated with growth versus growth control or latency. Previously published studies in mice have shown earlier death of the HN878 infected animals compared to mice infected with CDC1551. Again the ability of the bacilli to induce protective immunity, in mice appears to be determined by the lipids they produce; these modulate the extent of disease (virulence) and impact on clinical outcome in the infected host. The Kaplan lab is presently investigating macrophage activation pathways that regulate induction of immunity and protection versus. virulence and disease progression. Finally, patient-based studies carried out in collaboration with colleagues in Cape Town, South Africa, focus on defining determinants of lung immunity and pathogenesis. The nature of the BCG vaccine induced immune response and immunologic correlates of protective immunity in neonates are being defined. Tsenova L, Ellison E, Harbacheuski R, Moreira AL, Kurepina N, Reed MB, Mathema B, Barry CE 3rd, Kaplan G. Virulence of selected Mycobacterium tuberculosis clinical isolates in the rabbit model of meningitis is dependent on phenolic glycolipid produced by the bacilli. J Infect Dis. 2005 Jul 1;192(1):98-106. Reed MB, Domenech P, Manca C, Su H, Barczak AK, Kreiswirth BN, Kaplan G, Barry CE 3rd. A glycolipid of hypervirulent tuberculosis strains that inhibits the innate immune response. Nature. 2004 Sep 2;431(7004):84-7. Manca C, Reed MB, Freeman S, Mathema B, Kreiswirth B, Barry CE 3rd, Kaplan G. Differential monocyte 1-4 activation underlies strain-specific Mycobacterium tuberculosis pathogenesis. Infect Immun. 2004 Sep;72(9):551. Post FA, Willcox PA, Mathema B, Steyn LM, Shean K, Ramaswamy SV, Graviss EA, Shahkina E, Kreiswirth BN, Kaplan G. Genetic polymorphism in Mycobacterium tuberculosis isolates from patients with chronic multidrug-resistant tuberculosis. J Infect Dis. 2004 Jul 1;190(1):99-106. Schoeman JF, Springer P, van Rensburg AJ, Swanevelder S, Hanekom WA, Haslett PA, Kaplan G. Adjunctive thalidomide therapy for childhood tuberculous meningitis: results of a randomized study. J Child Neurol. 2004 Apr;19(4):250-7. Domenech P, Reed MB, Dowd CS, Manca C, Kaplan G, Barry CE 3rd. The role of MmpL8 in sulfatide biogenesis and virulence of Mycobacterium tuberculosis. Biol Chem. 2004 May 14;279(20):21257-65.